Six hundred miles upstream from the northern tip of Lake Turkana in Kenya, the Ethiopian Gibe III dam is nearing completion. According to Africa Confidential the dam will produce 1860 MW, making it the biggest hydro-electric power plant in Africa. No doubt the developmental impact of the Gibe projects will be huge. Despite doubling Ethiopia’s 2007 installed power generation capacity, the project will bring more than 150,000 hectares (about 580 sq. miles) of land under irrigation (this will be more than the total acreage under irrigation in the whole of Kenya as of 2011). In addition, the boost in power generation capacity will feed into the East African Power Pool, thus helping alleviate power problems in Kenya and beyond. But will the benefits of the Gibe projects outweigh the potential human cost, especially considering externalities that will spread beyond Ethiopia’s borders? According to Sean Avery, the Omo-Gibe project intends to divert as much as 32% of the Omo River’s waters for irrigation and other uses upstream. But the Omo River is the main inlet of Lake Turkana, Kenya’s largest by area (Kenya owns the smallest bit of Lake Victoria) and Africa’s fourth largest lake. Lake Turkana gets as much as 90% of its inflow from the Omo River. In a new Oxford study, Avery notes that one of the planned Ethiopian irrigations schemes alone, the Kuraz Sugar Scheme, will gobble as much as 28% of Omo inflows into Lake Turkana at 70% efficiency and a whopping 40% if the project inefficiently uses water! The same study notes that construction of Gibe III may lower the water volume in Lake Turkana by as much as 41-58% (or an average drop in lake level of 22 metres) over a period of time. This will have a significant impact on the Lake’s salinity (being the biggest desert lake in the world) and suitability of its water for human consumption and agriculture. To put this in perspective, the average depth in the lake is 30 metres. 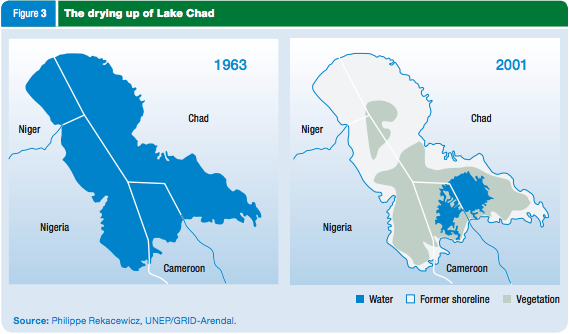 Without proper water management upstream Lake Turkana faces hydrological collapse akin to what happened to the Aral sea or what is happening to Lake Chad. These findings have been echoed in this Human Rights Watch report. At this juncture you may ask, why isn’t the Kenyan government up in arms over the Gibe projects? 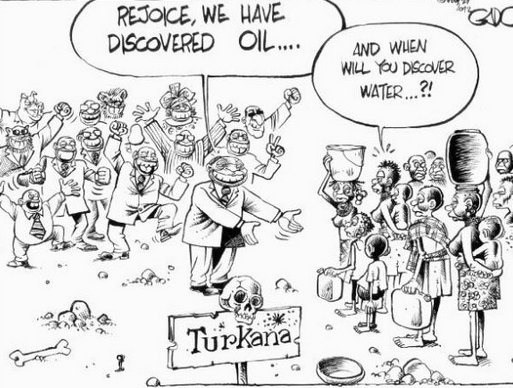 Well, the simple answer is that a confluence of factors have made it such that Nairobi does not have an incentive to care about the 170,000 odd people that will be adversely affected by a decline in water volume and economic viability of Lake Turkana. Three of these factors stand out. Turkana, being largely rural, sparsely populated, poor, and with a low literacy rate, does not make a fertile ground for pressure groups to form. Complaints over the potential impact of Gibe III have mostly come from academics and international NGOs that, lacking political salience, are very easy to ignore. Historical low voter turnout in the region also does not help matters. This has made it easy for the government to pretty much ignore the region over the years. Residents of Turkana often talk of “going to Kenya” whenever they venture into the southern regions of the country. A more important reason than the one above is perhaps that Gibe III will provide power to the Kenyan grid. Kenya’s Vision 2030 development plan includes a raft of projects that will require increased generation capacity in the next couple of decades that the country will surely not meet. Gibe III will be a much needed plug in the expected energy capacity gap. Notice that most of the projects will benefit the more politically powerful pockets of the Kenyan electorate to the south of the country, most of whom have never and will probably never hear of the human impact of Gibe III in Turkana unless it leads to something catastrophic enough to attract national media attention. Oil. Oil. Oil! As if things could not get worse for residents to the north of Turkana county, commercially viable deposits of oil have been discovered to the south of the county. It goes without saying that moving forward most of the economic focus will be in that part of the county, at the expense of most other economic activities (and Turkana residents’ most pressing needs, see image) – including fisheries on Lake Turkana. Admittedly, the fault here lies not with Addis Ababa. 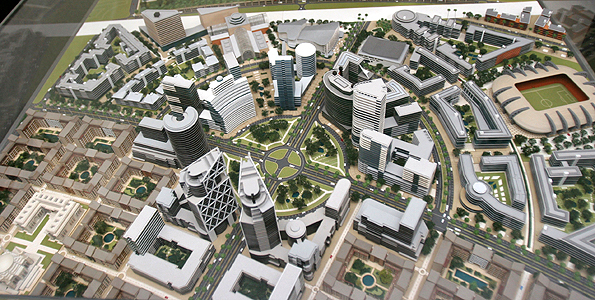 Ethiopia had to do what it had to do to meet its development needs. The fault is Nairobi’s for not having the foresight to strike a workable “Coasian bargain” with Addis on an arrangement that would be less harmful to residents of Turkana. This post has attempted to sketch some of the reasons why this is the case. In an ideal world Nairobi would have negotiated with Addis Ababa for a discount rate for power from Gibe III and pledged to invest the difference in compensating residents of the Lake Turkana basin who will be adversely affected by the planned projects on the other side of the border. Unfortunately, for the three reasons stated above and others, I doubt that this happened or will happen in the near future. To paraphrase a famous quote from a couple of millennia ago, in the world we live in those with political power get what they want and those without suffer what they must.